Главная / «The Birthday of employees» of LLC IZTT. «The Birthday of employees» of LLC IZTT. 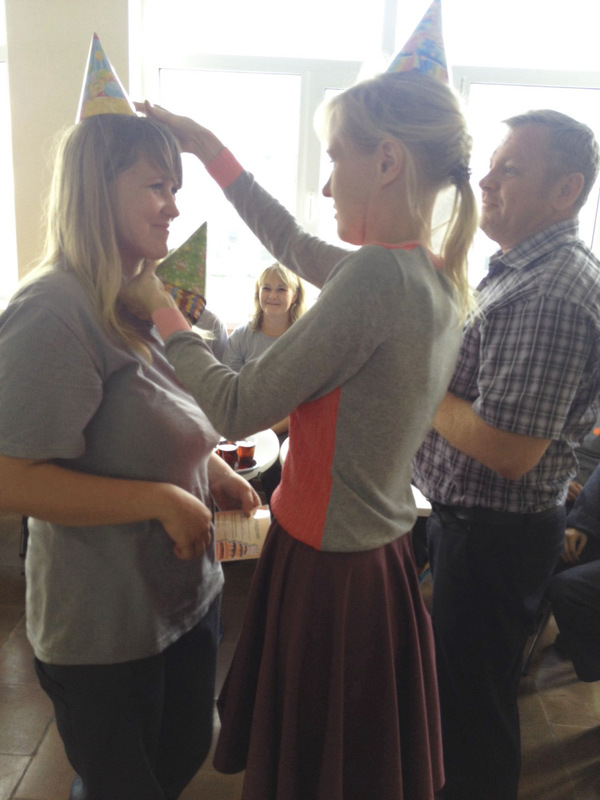 On September 2 LLC IZTT congratulated all birthday of employees at whom Birthday fell on August. Birthday of employees in cheerful festive caps and with corporate and personalized cards it is proud received congratulations under the general applause! Then all amicably went to the dining room to have tea with cake and candies, to share the emotions and impressions concerning a holiday. The holiday became an excellent reason for creation of internal communications between all employees of LLC IZTT regardless of a profession or a position! The similar surprise was in Kirzhach on August 31. Ringing laughter of workers, cheerful extensions "Happy birthday! ", and, above all, excellent mood till next Day of the Birthday of employees. In September joyful smiles of employees will light up IZTT walls again! В последнюю неделю уходящего года в Ижевске и в Киржаче корпоративные Дед Мороз и Снегурочка пришли в гости к детям сотрудников ИЗТТ.